My love for reading comics turned into collecting toys then eventually statues turned me into producing custom statues that I wanted for myself. My early works are in the hands of others now like Thanos on throne 1:4 before Bowen made their version, the crouching Deadpool first ever Deadpool in 1:4 scale I believe, Green Lantern 1:4 with the big hand construct first ever GL.in 1:4 and first GL to use the idea of using the light construct instead of just holding his lantern. 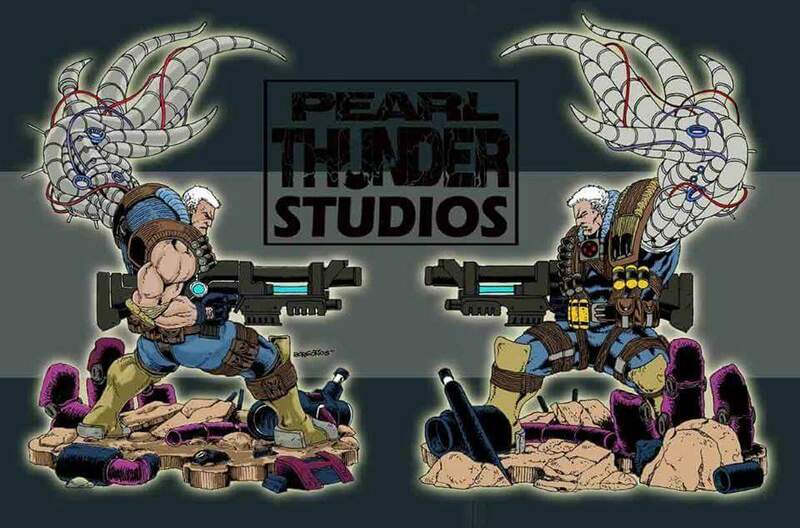 Nowadays you can see my works on my FB page Pearl Thunder Studios. My favorite piece I’ve worked on probably be the current Iron Spidey because I was able to do a lot of things in this project that normally I can’t do. My dream piece from the start is a 1:4 Galactus.